Magpas Air Ambulance is a charity which brings essential lifesaving care by land and air to patients in life-threatening emergencies in the East of England and beyond. Magpas Air Ambulance is NOT state-funded and relies on donations to continue saving lives and fly their helicopter. HPS will be raising money for Magpas with a special Magpas Day on Friday the 15th of February. 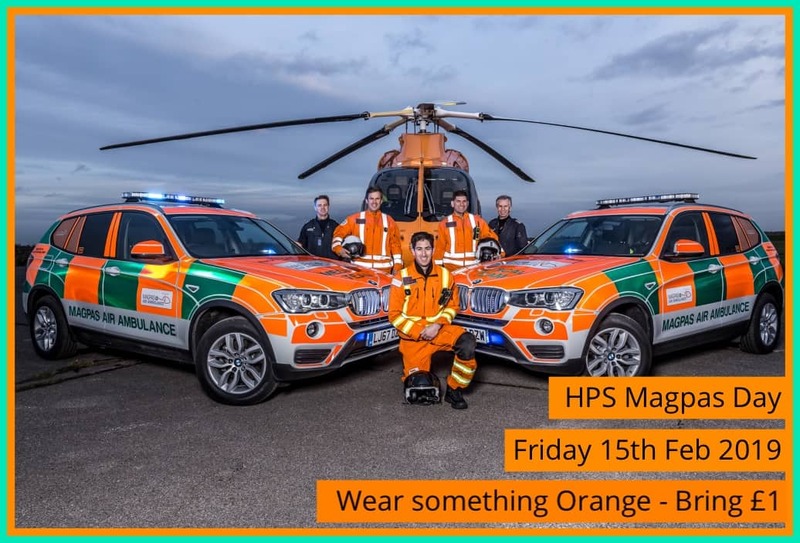 Bring in a £1 donation on the day and wear something orange to celebrate Magpas! The money raised will be split equally between Magpas and our children’s school fund.